sailboat. 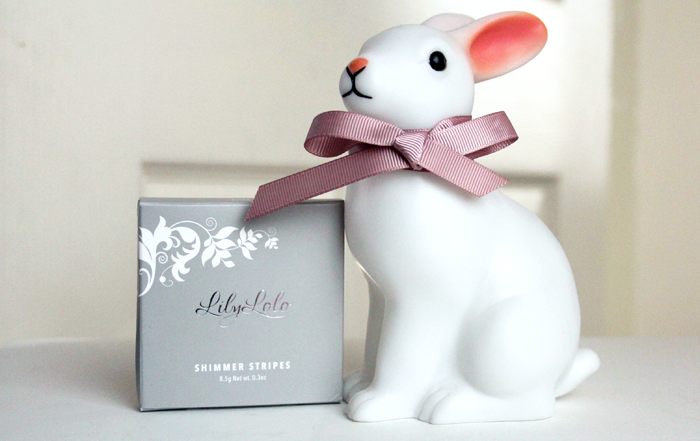 : Lily Lolo Shimmer Stripes in Rose Glow. Lily Lolo is one of those brands that will always hold a special place in my heart. I was searching for reviews of their mineral foundation when I stumbled across the beauty blogging community about 4 years ago, a community that ended up welcoming me in and becoming an enormous part of my life. So in a way I have Lily Lolo to thank for my blog and I'll always appreciate that. 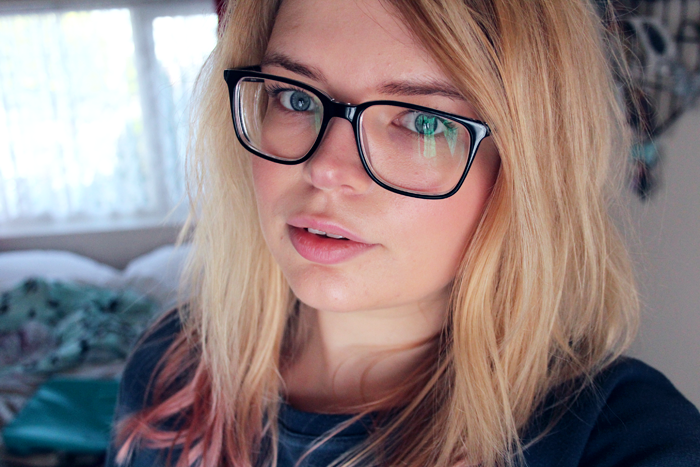 More than that though, their products are lovely - I've had a pot of the mineral foundation in my make up collection for years now and I think I always will! 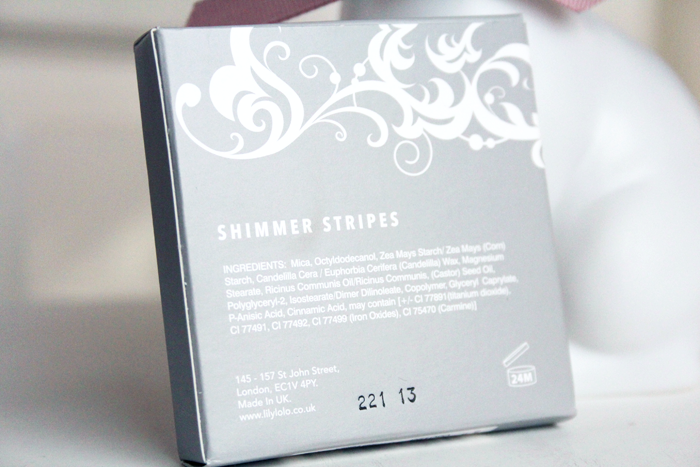 Part of their new limited collection, the Shimmer Stripes in Rose Glow is a simply beautiful product. The packaging is sturdy and compact, with a large mirror that makes it very handbag friendly. 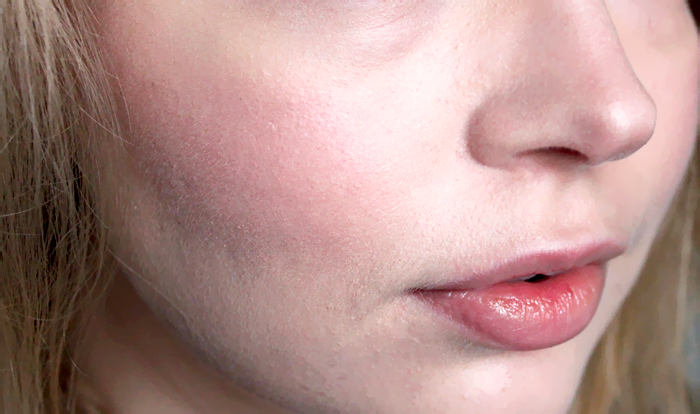 The different shades when swirled together give a flush of radiant pink to the cheeks without being overly shimmery and the creamy-white stripe is wide enough for me to be able to get a small brush in to add an extra touch of highlighter if I'm going for a more dramatic look. The pigmentation is perfect and the colour isn't too bright so it never looks too much but I like that it can be applied sheerly for a soft look or built up for a stronger, more sculpted cheek look. At almost £20 the only downside I can find is the price however I do absolutely think it's worth every penny. Both the product and the packaging are such lovely quality that I don't think you would be disappointed if you wanted to invest and it's been great to see that their pressed products are as good as their loose minerals. Have you tried anything from Lily Lolo before? These really are lovely I fully agree :) I'm curious to try the mineral foundation as I've never tried one before. This is such a stunning product! I bet the bunny would also try these :) The colours are beautiful! Looks gorgeous on you ! Pretty product pretty lady!! haha! Never heard of these before! The colors suit your complexion really well - what a pity that we don't have Lily Lolo in Austria, sigh! Do you have any other products by them? These pictures are so pretty. It really does look nice on you - I love the stripes! 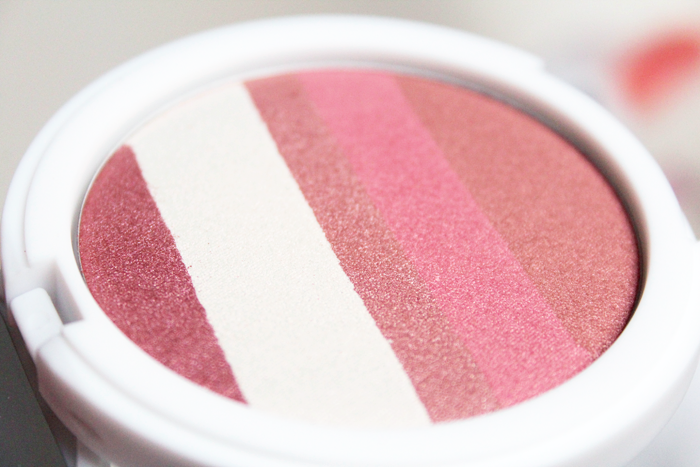 Ooo I love this, such a pretty palette of shades perfect for a fair skintone! This is such a pretty product as well and the shades combined suit you so well. I haven't heard of this brand before but this is what I like most about reading blogs, new discoveries every day. 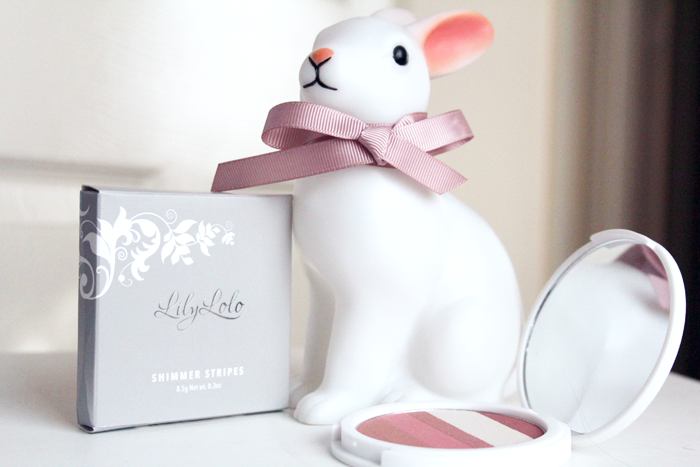 This is such a pretty product! I think every girl is allowed to have at least one splurge item in our beauty drawer! Awww, what a sweet story! The packaging is gorgeous and it looks so pretty on you Jennie. I would definitely be tempted to try this when my beloved Dandelion runs out. This makes your skin looks super healthy and glowing!